When you look at the landscape of the United States and the way the economics is broken down, you can’t help but to acknowledge the poverty of America. We have so much wealth and yet it’s in the hands of very few people in this country. But there are the success stories of people who come from poverty into prosperity. And they tend to live out their lives in prosperity. But why do so many people make money and go back into poverty. Or better yet, why don’t most make it out of poverty? As a man who comes from the poverty level, I can tell you first hand that it’s a lot harder than just a bootstrap viewpoint. There are many parts to making it out of poverty. You have to be in the right schools, good home life, an innate ability to get things done, and a little bit of luck never hurt. All of these parts added up is what must happen to remove yourself from poverty. But you have to also acknowledge another aspect of poverty. And that is that people who are poor tend to handle money in a very irresponsible manner as well. I remember one day walking down the street here in New York City, and seeing two guys make an expensive purchase of a good from a high end retail store. But then they walked into a housing project. And it had me thinking, why are you spending thousands of dollars on clothes and living in public housing. And it has to do with not knowing how to utilize your dollars. How do you spend a thousand dollars on a pair of shoes on Madison Avenue (NYC’s Rodeo Drive), and your living arrangements are poor. I have also seen luxury vehicles in parking lots of housing projects, yet Toyota, Dodge, Ford, and Nissan in the posh Upper East Side. It’s that being poor is tough enough, so people overcompensate so they don’t have to look poor. But what it does is take you down an even darker road into debt. 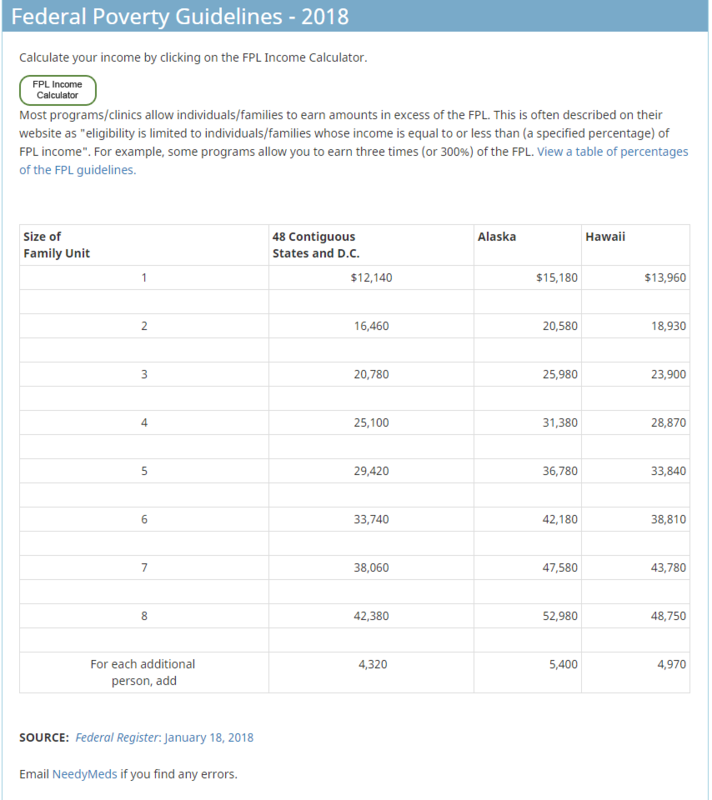 The below chart is of the breakdown for what is a household poverty income in 2018. The chart can be found on the Needy Meds website. How do you keep yourself from being the person in the group of poor thinkers. Because when I get paid from work the first thought in my mind is paying bills. Some people think I need to go shopping at a retail store for goods. And there lies a portion of the problem, the mindset. Most people don’t think they have a mind for poverty, but they do. being born into wealth helps, but a mindset for building helps a lot. Problem is, everyone is not intuitive people.